If you’re wondering about getting free Shakeology samples, I am glad you are here. Back in December of 2010 I made a decision to start P90X for the 7th time (yes the 7th time…maybe you can relate). To be honest, I had some knowledge about supplements, but not enough to really know what was beneficial and what wasn’t. Looking back, I made a lot of mistakes with supplements… Bought a crap ton of powders and pills that really didn’t do anything in the results department. Anyway, I just trusted the P90X Nutrition Guide and got the supplements that were recommended, which was the P90X Recovery Formula, some whey protein, and some creatine, and after completing my first full 90 day round of P90X after 7 attempts, I had finally seen some amazing results. In 90 days I had lost around 20 lbs! Now I will admit that I was not quite as familiar with the P90X Nutrition Guide as I am now, so needless to say…I could have done better. …That’s when I started hearing about this meal replacement drink called Shakeology. When I looked into it initially, the price put me off a bit. I didn’t understand how a simple protein powder could cost $129. Then I started to do a little more digging and found out that Shakeology was way more than just a high quality protein drink… It was 9 servings of fruits and veggies along with 70+ ingredients and it helped with all aspects of health (no just a protein supplement). Then I started taking a look at my Coach’s results after using Shakeology and I knew it was a game changer. Now THAT made sense to me! So I placed my order and in the next 120 days I lost an additional 40lbs and the only thing that I did differently was add Shakeology into my diet for breakfast! I knew this was something that could work for everyone so I started recommending it to all of my friends, family, and the people that I coach. My buddy Jason from church lost 13lbs in his first 14 days of using it (and he hadn’t even started his workouts yet!) My grandma lost 10lbs in 3 weeks and no longer needed to take her joint medications! My buddy James was a type 2 diabetic and because of Shakeolgoy and Beachbody workouts…he got off all his insulin and got his type 2 diabetes taken off his medical charts! On top of that, there are hundreds and hundreds of the people that I coach who have used it and gotten OUTSTANDING results! It’s definitely now the #1 supplement that I recommend and the ONLY Beachbody supplement on my “Must Have” list which means I am not just out there trying to promote all of Beachbody’s stuff… and I’m constantly giving out Shakeology samples for people to try it. Oh and if you don’t know much about Shakeology, here’s my other Shakelogy site that explains why it’s so beneficial for you! So how do you get a free Shakeology sample? First of all, I have to be your coach! If I’m not your Beachbody Coach yet, it’s free to sign-up – just click here. Also, you have to be serious about purchasing it if you like the taste. I don’t mind sending out samples because I really want to help people get the best results possible, but it does cost me around $6-$10 to send out one sample, so if you just looking to try it without any intent of purchasing, please be respectful and honest and don’t request one. I want to send samples to those who are really serious about changing their health! Usually I will have a couple of flavors of Shakeology samples for you to try (Chocolate, Tropical Strawberry, Greenberry, Vanilla, but Chocolate and Vanilla are the ones I send out most often (and they taste the best). I dont really like the Greenberry… it tastes like wheat grass and Flinstones vitamins, lol. If you get a Chocolate Shakeology packet from me, here is a great recipe that I like to use. Just blend these together. In the Subject line, indicate which flavor you would like (Regular Chocolate, Vegan Chocolate, Vegan Tropical Strawberry, Greenberry, or Vanilla). In the body of the message, please put your FULL MAILING ADDRESS (not just your email address — I can’t mail a sample to an email address!). You can request multiple flavors (so you can compare them) or a longer supply (if you want to get, for instance, 7 packets and try Shakeology for a whole week). However, I will need to charge you to do anything over the one free sample. The cost for custom sample pack requests of multiple flavors or quantities is $6 per sample pack beyond the free one I already offer. If, for instance, you want to try 3 flavors, you’d need to pay me $12 (the first is free, and then $6 for each additional sample). You’ll just need to send me the money via PayPal (my PayPal email address is toddwbhs@gmail.com) and also include in the paypal comments section what quantity and flavors you want for the packets. Shakeology is something I HIGHLY RECOMMEND, and something I’ve been using EVERY DAY for the past 2 years now! I’ve gotten great results from it, and so has my family, friends, and the people I coach as well. Thanks for being on our team!!! 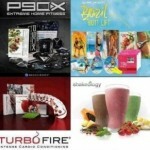 Try P90X & Shakeology FOR FREE! Hey Todd , I just sent you an email, I'd love to try a sample before spending that much money. I also just bought p90x3 and am looking forward to getting my fitness and nutrition back in balance. Thanks for all the great info, it really helps getting started. i sent you an email, is this a 1x a day meal replacement? Question...I am really interested in shakeology! But like you mention above the price really puts me off!! Especially if I am picky with flavors!!!! I am a busy mom and student so I am looking for something I can just mix with water and will taste great! And not chocolate!!!! Is there any of the shakeology shakes that will taste great without using add in?! I don't mind adding stuff every so often but it's not my ideal thing!!!! Hi @D_Mela!! I would say that Vegan Tropical Strawberry is the best with JUST water. It is plant based though which makes it a little more gritty than people are used to. The flavor is great though. They are actually coming out with Regular Strawberry which I heard is amazing and I should be getting those in around the 20th. If you dont mind waiting...I can send you a strawberry sample? Then shoot me an email with your mailing address requesting the flavor you would like. would also love to hear about what you are doing fitness-wise as well as your goals! i have received some of your pointers and tips. thanks for the info. i would like to have you as my coach, how do i do this. also, i would be interested in a sample of the Shakeology if possible. Sent you an email with my shipping info. I am really interested in getting a free sample. I need the package shipped to a different address since I live in an apartment and our mail person just leaves packages sitting by the mailbox, wouldn't want it to get taken. Hopefully you can do that for me. Hello Coach, Can you please send me the tropical strawberry and choclate sample please. Hi Coach Todd. 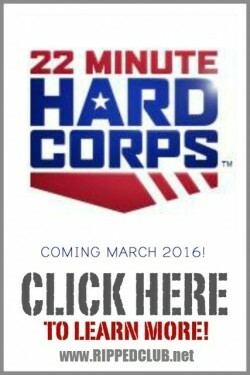 I just signed up. Can you send me a sample of the green berry? which flavor to you like best? Hi ! 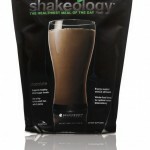 would love to try a sample of shakeology, chocolate. just started your program, very excited what the results bring !!!! Hey i wanted to try a sample as well , i signed up . hi there todd i wanting to get started on the body beast workout and was wondering if i could get free sample of the chocolate shakeology please. About to start P90X soon. Can i have a free sample of chocolate? Coach Todd, could you send a free sample? I'm pretty sure I would like chocolate, so could you send me the greenberry? I'm out in the field and don't have access to niceties like ice and blenders, so I want to make sure it mixes well, shook up in the bottle. I've been running a lot and I'm starting P90X pretty soon as a countdown to going home. Saw your site and thought it was great. I would love you to be my coach, but I already have one. How can I switch to you? just joined your team. 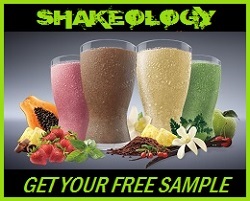 Do you still have the offer for the shakeology samples? Good morning! 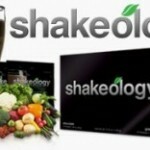 Can you send shakeology to Portugal??? thanks!! Thanks. I'm excited about starting P90X on Monday. I've started 3 or 4 times before, but now that I've watched your videos, I think I can really do it this time. Hi there coach Todd! My family and I recently joined a gym and have been going everyday. I don't take any vitamins and was going to start now. I also wanted something that would help me get the most optimum results. I had remembered about shakeology from hearing about it before. I thought that would be exactly what I'm looking for right now and from now on. After much researching nothing seems to compare. I am very interested. It would be wonderful if I could receive a free sample of the chocolate flavor! Thank you so much! Hi Coach Todd!! I would love a sample of shakeology!! 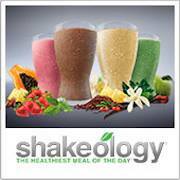 Would love to try a sample of the shakeology. Hey Coach Todd! Can you please send me a sample of the greenberry? THANKS! 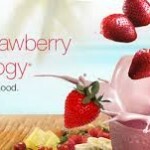 Would love to try a sample of the shakeology! Starting P90x today although I started the fat shredder plan 3 days ago. Breakfast is a tough one for me as I am out the door to work early so shakeology might make that easier. Thanks for your help as my coach!